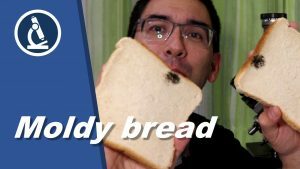 Moldy bread. But the spores look nice. Here I put some mold under the microscope. The spores are visible in bright field as well as in phase contrast. I also look at it using my stereo microscope.